Cyan's pedigree reads as A who's who of top performance and show lines in the Irish Draught breed. 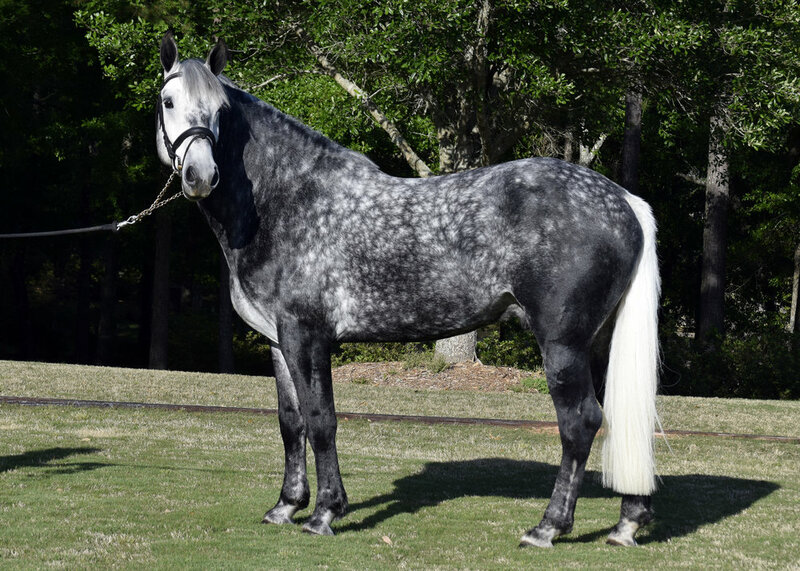 His sire, Bridon Belfrey, RID, was bred in the USA but came from top individuals bred in Ireland. Belfrey was shown successfully in the USA, and received his RID status at inspection in 2005. Cyan's paternal grandsire, *Snowford Bellman, was by the great Slievenamon, and out of a mare by Skippy. Skippy was a prolific sire of upper level event horses and show jumpers. 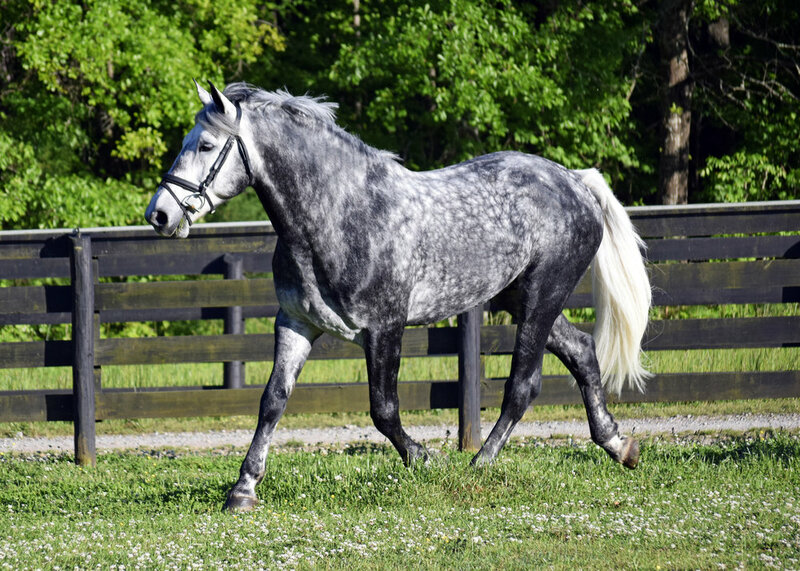 He sired the legendary Jumbo - sire of numerous FEI event horses like Headley Brittania, Mr. Chunky & Jollybo - and Banks Fee Daniel, a great show jumper, and sire of show jumpers. His maternal granddam, Flagmount Belle, RID, was by the great show jumper Flagmount King, RID. 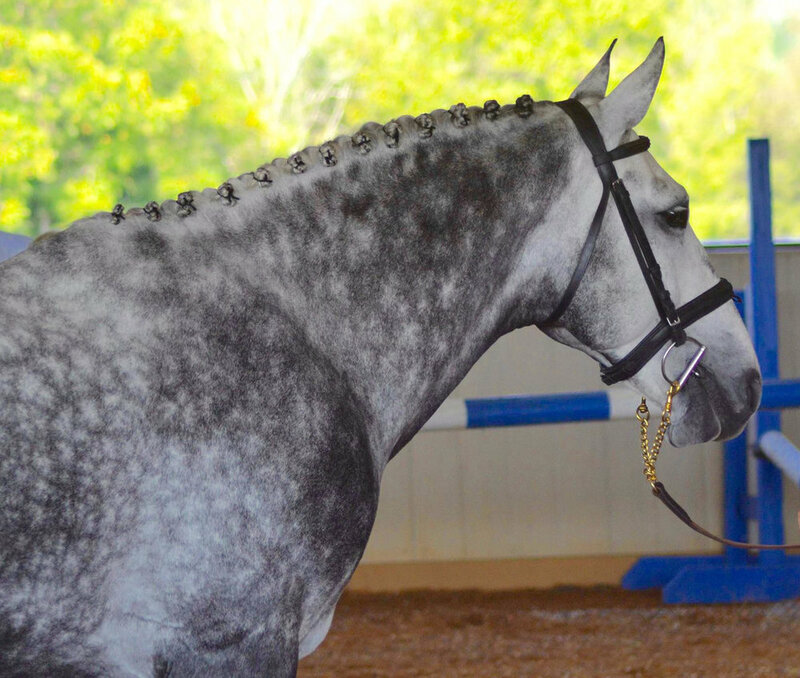 Flagmount King sired numerous Grand Prix show jumpers and upper level event horses. Cyan's dam, Roma Blue Hawk, RID, was Supreme Champion Irish Draught at the Three Counties Show in Great Britain as a 3 year old, and that same year was Reserve Supreme Champion Irish Draught at he IDHS National Show in GB. As a 4 year old she won the broodmare class IDHS National Show in GB. She produced several good foals in the USA, including the stallion, Harkaway Lionhawk, before retiring from broodmare duties. Cyan started his under saddle career as a four year old, and spent the first couple of years hacking the trails around our farm and in our hunt country. he spent a couple of months gaining more formalized training with becky holder in the summer of 2018. we hope to have him eventing and hunting later in 2018 and into 2019. Cyan was presented for inspection in september of 2018, and received class 1 status. 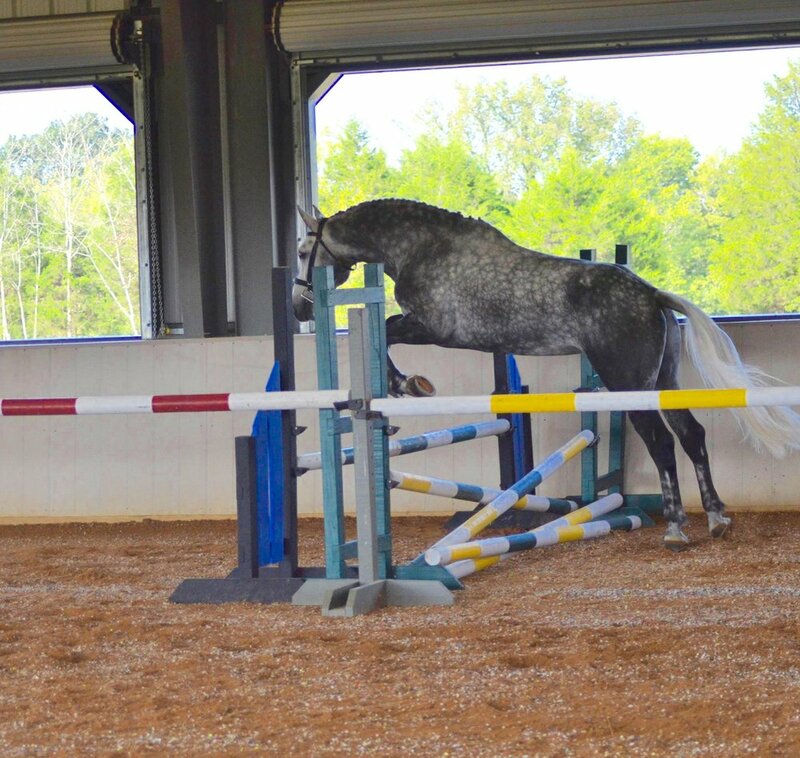 additionally, his impressive performance in the loose jumping earned him his bronze jumping merit. 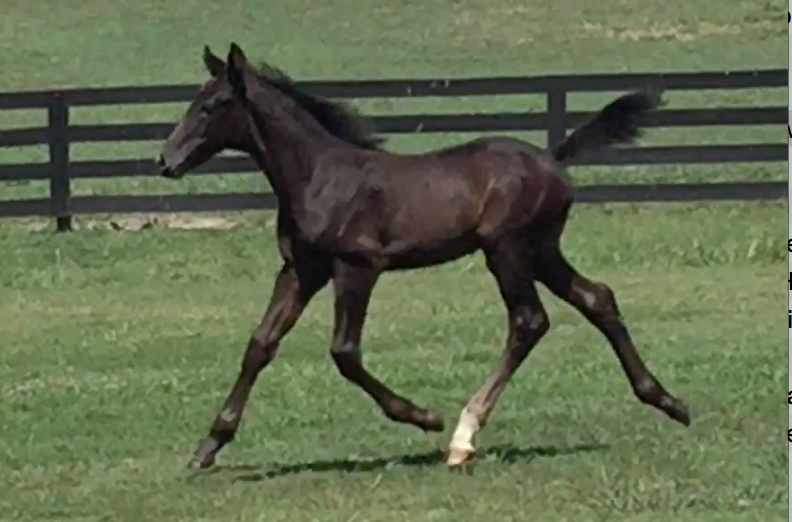 cyan’s first foals are correct, with good bone and substance; he's stamping them with his good mind, and His movement.